If there is no support to resolve these simple issues, users may get frustrated and may lose interest to learn online. They may even think that the LMS is not good as they cannot access and complete the courses online. Now you will agree how important LMS administration support is. In this blog, I am going to share seven levels of LMS support that we can provide to LMS users to resolve their issue. These levels may help you to decide what kind of LMS support you need for your LMS and how prepared you are for the purpose. Each organization may have different scenarios; so based on the need, the respective level of support can be provided to the users. This can be tested by the user and based on the warnings users can resolve the issues by himself or with the help of the IT administrator. From my experience, this can resolve most of the issues that are not related to LMS or eLearning courses. This is the next level of support service where users will be asked to troubleshoot the issue using the support tool. This will have a set of predefined questions and answers based on frequently asked questions. Users can select the type of issue he/she is facing from the list of questions. According to the selection of the question by the user, appropriate solutions will be displayed in the form of step-by-step instructions along with images. 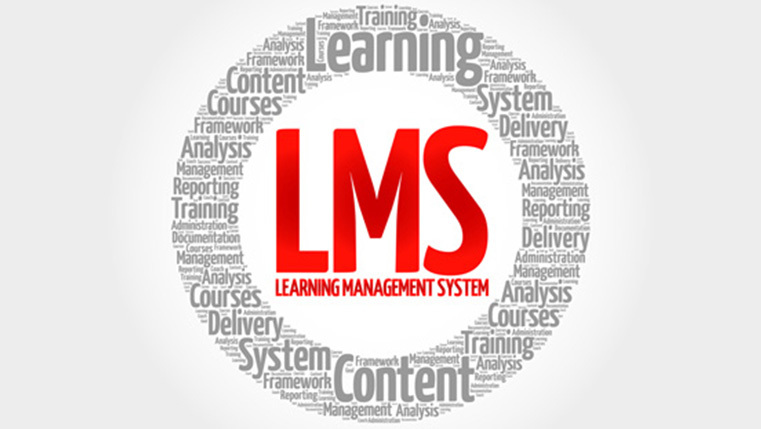 This will help users to resolve the LMS or course-related issues very quickly. If the user is not able to resolve the issue then, the next level of support will be recommended. All the questions, which the user selects, will be stored in the support tool. This information will help LMS administrators to understand the actual issue and suggest how to fix it. This tool can be developed using an open-source application called “Lime Survey”. This is another frequently used support level to provide support. Response time depends on administrator’s availability and the requests load. In this level of support, users send the support request to the administrator in an email. Administrators need to maintain all the support emails manually and resolve them based on priority. In this method, there may be chances of the administrator missing to respond to some support request. Managing email requests is completely person centric. This level of service is mostly used for the LMS, which is having thousands of users who are located in various parts of the world and there are multiple LMS administrators to provide the support. This tool is linked with a support email address. When any user writes an email to support email address, the tool will create a ticket in the system and send automated immediate response to the user and the respective administrator. The administrator can read the user message and reply to them with a solution through the system. Whenever any response is added to the ticket, users will be automatically informed via an email. Users do not require the ticketing application; they can directly send queries and receive responses through their email application, for example, MS Outlook. It will be very easy to manage any number of requests and to assign it to the respective administrator online. Once the issue is fixed, ticket will be set as closed by the user or by administrator with permission. For ticketing system, I recommend “OSticket,” an open-source ticketing application. It is very easy to install and configure the support email addresses. There are also many good commercial ticketing systems like Zen Desk. Some LMSs have the chatting feature for communication. Administrators can provide online support using the chat. Through online chat, administrators will always be available to receive requests from users and resolve it by providing instructions. For some organizations, it may not be possible to provide 24 x 7 online support due to lack of resources. In such cases, the offline chat helps. When users send the message to the administrator who is offline, he will receive an email notification from the LMS to respond. This is a quick response level support, where technical team will be available to receive call and try to understand and resolve the issue through the phone. You need to provide toll-free numbers for all the users’ location. This level of support is used when the issue is difficult to understand through phone or when administrators are not able to replicate the issue to suggest suitable solution. It requires scheduling a web conference meeting on a mutually agreed date and time. There are many virtual meeting applications available, for example, Skype, WebEx, GotoMeeting, team viewer, etc. These applications will help administrators to see the issue using the desktop sharing option and added audio support for phone call and guide them to resolve the issue. These applications have the ability to take and give control of user computer to operate. Hope this information may help you to choose the level of service you want to provide to your LMS users. If you don’t have enough staff to provide high level of support you have the option to outsource it. The best way to reduce the support request is to educate the user along with the solution you are providing. Most important of all, the ideal way to motivate the user to take to online learning is to provide quick support.